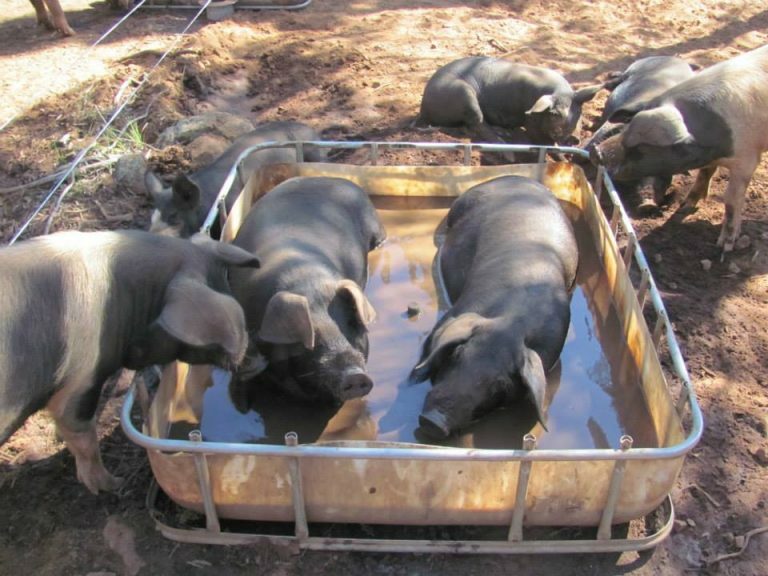 finally found a design that was pig-proof, low cost and easy to make. As you can see his efforts were highly appreciated! I decided to introduce another category: Global Animal Production in the 21st Century. Which I’ll abbreviate down to GAP21. The purpose? Show what animal production looks like in the current era, Worldwide. An important part of the study of animal sciences consists of farm visits, both on a national and an international level. 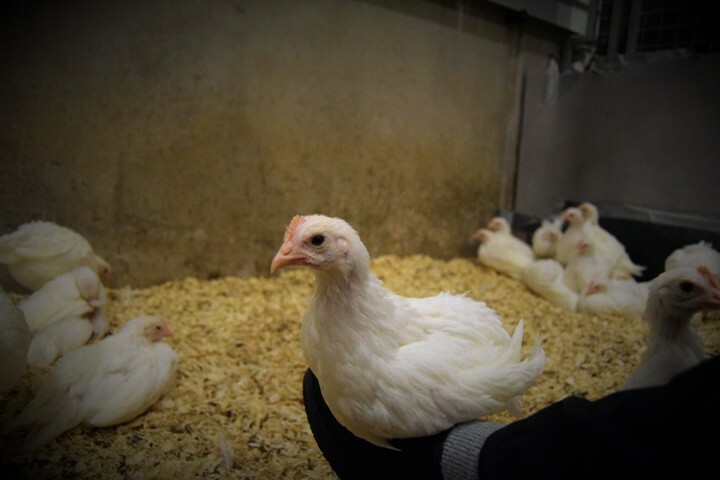 Theory might be the foundation of the academic education, excursions to learn how animal production takes place in real form an important component as well. 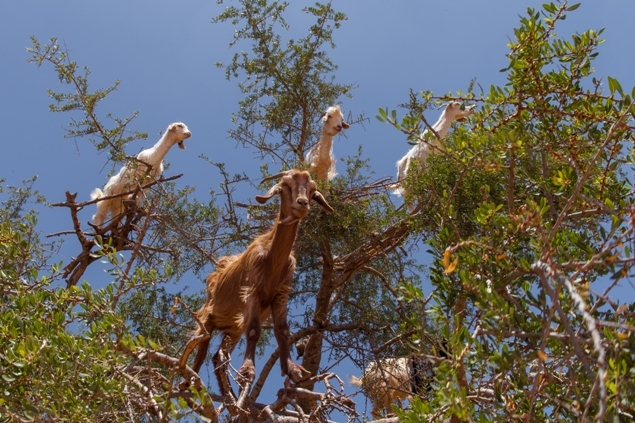 I’ve done a lot of these excursions, talked to many farmers and… I have taken heaps of photos. Between my bachelor and master programme I’ve done several farming jobs while travelling in Oceania. What do these farming systems have in common, and what is totally different? No animal production system is perfect. Each culture has their own traditions regarding animal husbandry. Every country faces their own challenges. Let me show you what I have seen and learned thus far: One photo at a time. Questions? Comments? Other ideas? Let me know by leaving a reply. Last friday I went ‘piloting’ for my degree project. No, I do not mean to say I am considering a different career path 😉 I went to try out the protocol I had designed earlier this week for scoring behavioural observations. Which is usually referred to as ‘a pilot study’ or sometimes bended into the verb ‘piloting’. As I mentioned in a previous post, for many of us the degree project is the first time in our studies that we are actually taking part in an experiment. Luckily I followed the course Ethological Methods and Experimental Design last year. In this course we did several experiments trying out the different observational methods to analyse animal behaviour. This is really helping me now to figure out what type of scoring would be most useful and practical. In one of my next posts I will explain more about the topic of my research project. Stay tuned! And of course, like always, please feel free to ask questions. Last week I started a new course named ‘Animal environment, welfare and housing’. I have been looking much forward to this course for a long time – for more than a year, to be precise! How come? Well, animal production systems is one of my biggest passions within animal science. The design of the environment plays a large role for the quality of life of the animal. Therefore I want to learn every little detail there is to know about how to create the best housing for animals. However, last year this course turned out to be… in Swedish. 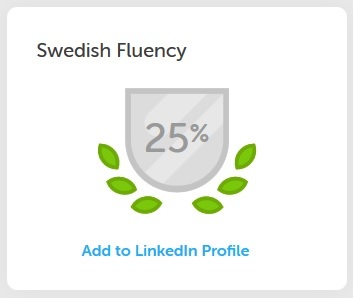 And as you might have read, my Swedish skills are not that impressive (yet!). So I was utterly disappointed about not being able to take the course of my favourite interest. Until I heard the amazing news that the course would be reconstructed and given in English for the first time spring 2017! It was a long wait, but now it is finally happening: Animal environment, welfare and housing has begun. usage in dairy cows. Image from the presentation of Stefan Gunnarsson. The first lecture was an introduction to the course. Besides hearing about the structure, objectives and planning it is also quite common at SLU that the course participants introduce themselves briefly. Soon we found out that many of us are international and that we have people with all sorts of backgrounds attending, such as veterinarians and agricultural engineers. Which also gives an idea of the interdisciplinarity of this course; to me it seems to be about the relations between building function, animal health and animal welfare. A good example of this was presented during one of the lectures this week. Cows have the need to lay down and ruminate. 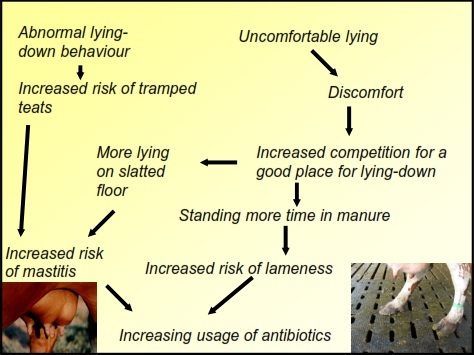 If the stalls are badly designed this will affect the behaviour, welfare, health and production of the cow (see the diagram above). This is not bad for the cow only, but also leads to reduced farm income and ultimately to increased resistance to antibiotics in society. It may sound obvious, but you would be surprised to see how many systems exist that are not optimal for cows to lay down. Once upon a time I moved to Sweden to study. As I would spend the coming two years in this new country, of course I would learn the language. There are quite some similarities between Swedish and my mother-tongue Dutch, so how hard could it be…? Dream on. One and a half years has past, and my speaking skills reach about as far as saying ‘hej, hur mår du?’ (= hello, how are you?) and ‘tack’ (thanks). Which is pretty much the same as I spoke the first week. Yes, I do feel bad about this. Am I just a terrible person who didn’t put any effort into this? No. Actually, many of my international friends are in the same position. I think there are three main reasons for this. 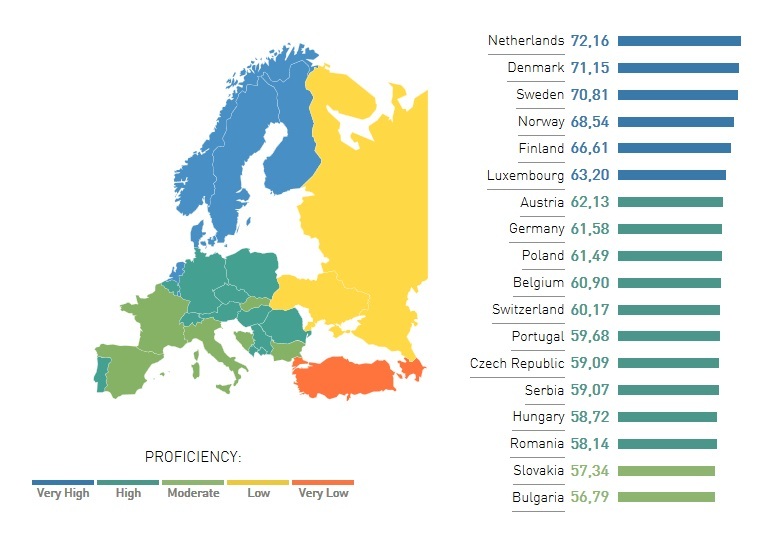 Swedes speak English too well. Young or old, it doesn’t matter, almost everybody is capable of speaking perfectly clear English. Meaning to say that even if you try to speak Swedish, when the friendly Swede notices you are foreign, she/she will switch to English for you. Even though this is extremely kind, it also never challenges your language skills. The Swedish language skills, I mean to say. Swedes are perfectionists in melody. Swedish is a beautiful language to listen to, it’s very melodic. I can read Swedish quite well, I can write it to some extend, but no, I wouldn’t say I speak it. I’ve tried, I promise. But when you initiate a conversation with a Swede, they will interrupt you because you didn’t use the right melody for the word. You thought you were getting somewhere when you finally got the hang of the Swedish ‘vokaler’, but guess what, it’s not enough. I’ve repeated a word twenty times in front of my room mate before he thought I had the melody right. The problem is I didn’t hear any difference myself when I finally pronounced it correctly. Swedish melody is very – very subtle. As I have several friends with similar experiences, I find my international friends practising their Swedish with one another, but not daring to speak in front of a Swede any more. Use a language app and/or website. Whether you pick Duolingo or Babbel, I don’t care. But install the app on your phone or insert the website as your homepage. These programs are not perfect, but they are easy, fun and make you familiar with the language in multiple ways. Babbel is a paid service but includes the valuable training of your speech. Convince your friends to join Duolingo as well so you can compete with them in weekly rankings! According to Duolingo, I am 25% fluent, hooray! Listen to Swedish music and watch Swedish television. If you enjoy going out you’ll soon find there are a couple of catchy Swedish songs that will be played frequently towards the end of the night. All the drunk Swedes are singing to it, while you are awkwardly trying to continue dancing. However the next morning on your bike the melody keeps repeating in your head but you still don’t know the words… Youtube is your best friend! Go and find those lyric videos and sing along. Not your cup of tea? Turn on that Swedish radio, put up a Swedish playlist on Spotify or find a series you like on SVT. They come with Swedish subtitles! This is the hardest part. Even though your room mate might intimate you slightly with his perfectionism, after all he is only trying to help. Start with small things, try to talk Swedish with the cashier or keep it Swedish when ordering a pizza. I haven’t tried it myself, but have heard great experiences of so called language cafes, which are organised weekly in Uppsala. In the ideal situation you might find a Swede who is interesting in learning your native language, so you both benefit from helping each other out. Still nervous? Inform your Swedish friends of your attempt to learn the language and ask them for a little help. What do you think, do you agree with me or not? Or do you have more tips and tricks? Please share below. Friendly, helpful, very polite and always in time. Although she just dyed her blonde hair dark brown, to me Amanda couldn’t be more Swedish. I got to know Amanda during the course pig production last spring and we met again during the horse course. Amanda is a student in the agronomy programme, which is very similar to animal sciences. Besides her being a genuine and lovely person, I’ve always been inspired by her passion for Swedish agriculture – which she recently started vlogging about. Time for a chat! Finally I am curious about her vlogs. She explains that she had a blog and wanted to try something else, not only writing. “I think it’s fun to try. I like to do new things, develop myself.” She aims to reach a different audience with her videos, which are not as complex as the blogs she writes. One of the vlogs I had seen was about labels you find on Swedish products in the supermarket. 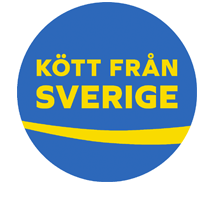 “‘Kött fran Sverige’ labeled meat products means the animal has to be born, raised and slaughtered in Sweden. Also processing and packaging has to take place in Sweden.” Sweden has laws that are more strict when it comes to animal production. Besides guaranteeing the Swedish standards, the consumer also knows immediately where the meat is from. “It’s very popular, it’s on so many products. It makes it really easy to find Swedish meat.” Although, other producers started to imitate the label. In her vlog she explains the differences and shows a piece of bacon with a Swedish flag printed on the package. “It was Swedish meat in it, but it was processed and packed in – I think it was the Netherlands.” There are moments that I am proud to be Dutch, this is definitely not one of them. I’d like to thank Amanda for her time and contribution. This interview was the second of a new series I named ‘Inspired by’, in which I’d like to introduce you to other people and their perspectives. If you have any ideas, questions or comments please write them below. It’s a little bit further away compared to the other places I’ve described thus far, but I think Fjällnora deserves a page on this blog. Surrounded by lakes and hidden between forest-covered hills, this recreation area is appreciated at all times of year. 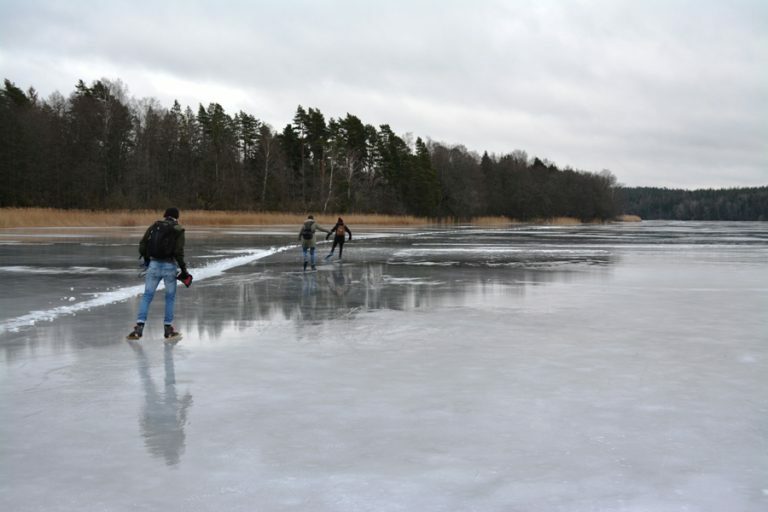 During summer people go swimming, hiking or kayaking, whilst at winter it’s the ultimate place to go cross country skiing or ice-skating. 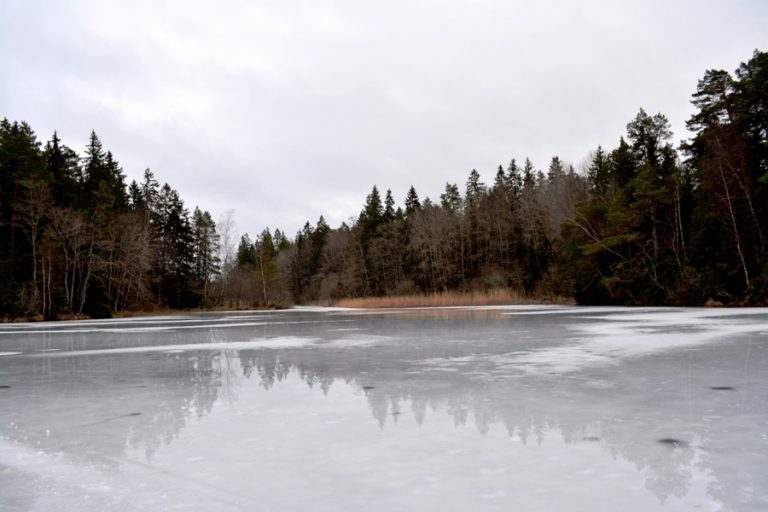 If it gets cold enough, tracks are plowed on the ice, turning lake Trehörningen into an ice-skating valhalla. Fjällnora lays about 25 km east of Uppsala, and is luckily accessible by bus. Take bus 809, but be aware that you’ll have to walk the last 3 km. Make sure to go early, so you’ll have enough time left to spend to enjoy the nature. It might sound a little challenging, but you’ll be glad you went there. Once you arrive you’ll find a campsite, fika place and some other facilities. The atmosphere is really friendly and people are all very helpful. You’ll be able to rent gear for seasonal activities all year round. My friends skating ahead over lake Trehörningen, photo was taken last winter. For more information take a look at the website of Destination Uppsala (in English) and Uppsala Kommun (in Swedish). Or ask your questions in a reply below. A few days ago I met with my Dutch friend Kristi while being in the Netherlands. Kristi and I met during her Erasmus exchange in Uppsala and we’ve been in touch ever since. I pick her up from the train station, and though she has been travelling for hours, she is as cheerful and energetic as usual. 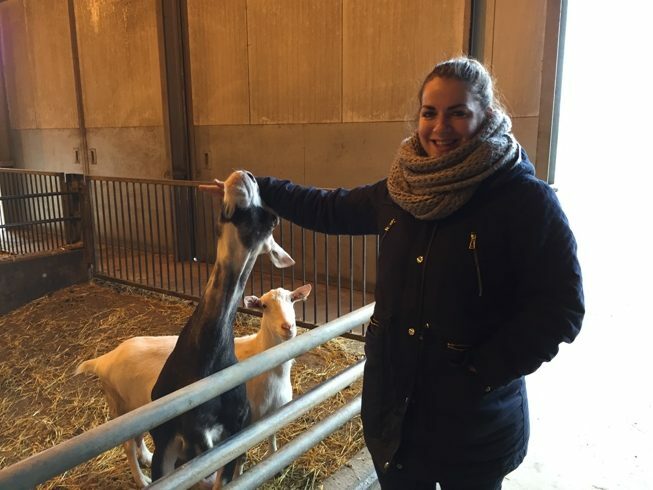 Kristi continued studying animal sciences for het masters degree at Wageningen University and feels most passionate about animal breeding and genetics. Let’s hear what she has to say about her time at SLU and what she’d like to reach within the field of animal science. Kristi during a study visit. Photo by study association ‘De Veetelers’. When asking Kristi why she chose to study in Sweden she tells me she just really wanted to go abroad somewhere. “I wanted to develop myself as a person, become more independent and I wanted to prove that I am actually capable of doing something like this.” Everyone had told her she wouldn’t be able to do it, studying abroad. The result? She started looking in which country she’d like to apply. SLU offered courses of interest to her and the website was easy to understand. In the end she followed some different courses than originally intended, but enjoyed them a lot either way. “I had made a long list of courses that were appealing to me, these weren’t number one and two, but still they were extremely interesting”. 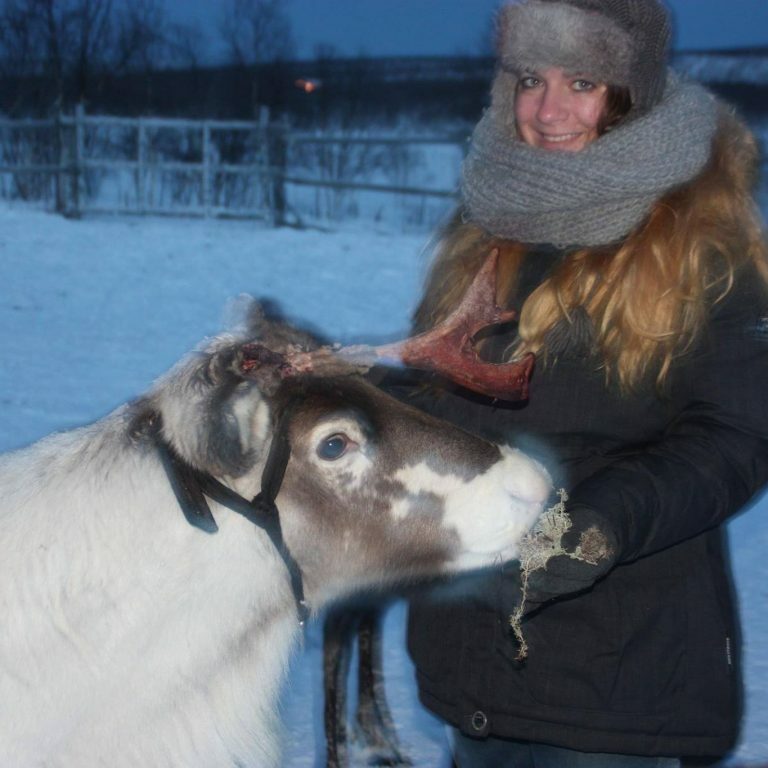 Kristi feeding a reindeer during a trip to Northern Sweden last year. We’re not finished yet as I am curious to what keeps her busy now. She started the master programme of animal sciences at Wageningen University last semester and will specialize in animal breeding & genetics and adaptation physiology. She has already started working on a degree project focused on pigs. I wonder if she found it difficult to make a choice regarding specialization. “Not at all. When I had to choose studies my first choice was veterinary sciences. When I didn’t get a spot in that programme animal science was the obvious second choice. But from the start I have known I wanted to specialize in breeding and genetics – I’ve been passionate about the topic since high school.” She added adaptation physiology as she enjoys the practical side of this field of science. I’d like to thank Kristi for her time and contribution. This interview was the first of a new series I named ‘Inspired by’, in which I’d like to introduce you to other people and their perspectives. If you have any ideas, questions or comments please write them below. Gott nytt år! = Happy new year! All the best wishes for 2017, may we all be as happy as these two little fellas. I saw this cheerful video passing by on my facebook wall and seeing farm animals playing around like that inspires me to work the best I can – hoping to contribute to improved welfare of animals in intensive farming. I’d like to see that expressing such natural behaviour would be possible for all farm animals one day. Not just the ones in sanctuaries! If you are considering to sign up for a programme at SLU this autumn, remember that the deadline to register is already the 16th of January. Don’t be late and start your application now at the official website of University Admissions. It can be quite time consuming as you will have to gather all different kind of documents to show you’re fulfilling the requirements. To apply for the master programme in Animal Sciences specifically, follow this link. Any questions? Feel free to ask them in the reply section below. Another course I’d like to talk about is the course tropical livestock production. I took this course last spring semester and I enjoyed it quite a lot. Our study programme is mainly based on animal production systems in the Western society. Generally examples are taken from the national production, but both universities in Sweden and the Netherlands have shown some aspects of other production systems within Europe and the US. However, I felt that after finishing my bachelors degree my understanding of animal production in other places of the World, was still quite limited. As this course focused on animal production in hot climates in countries of lower economic wealth, there were many new things to learn. Any questions? Comments? Don’t hesitate to leave them in a reply below.